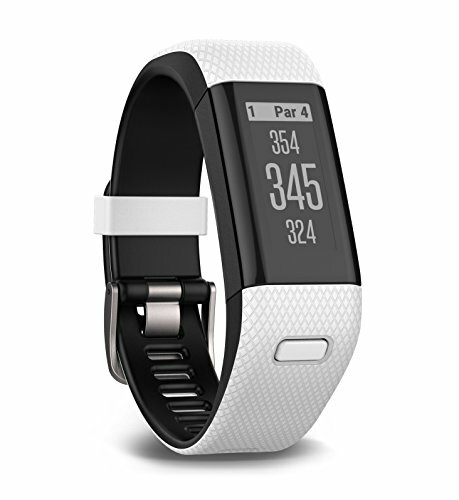 Are you in the market for a golf GPS or golf GPS watch? If so, you will have a lot of shopping to do to find the best fit for you. There are a variety of these products on the market, all of which have unique features that help golfers improve their scores. Below, you will discover an in-depth buying guide for the best golf GPS and best golf GPS watches. Most avid golfers will play in all weather conditions. Regardless, if it is raining, snowing or the sun is shining, they are out of the golf course. While beautiful weather is best for golfers, a little rain will not have too much of an impact on the golfer’s game. With that said, they will need a GPS that can endure exposure to moisture and water. When you invest in a GPS or golf GPS watch, it is crucial to make sure it is water resistant, so you can utilize it during rain and snow. Golfers do not want to spend more time than necessary charging up their GPS. Well, this will not be necessary if you invest in a GPS with a high-quality battery that offers a run time up to 12 hours. This will give you 12 hours between each charge, which should be enough battery power for about three rounds or more of golfing. A feature that is offered on some golf GPS devices is the viewable scorecard. This feature allows golfers to save their scores and view them throughout the game. You can also save your scores from one game to the next, so you can do a comparison to see if there is any improvement in your golfing skills. While some golfers tend to utilize the same golf course time after time, others like to switch things up a bit, switching from one course to another. Whatever the case may be, you will need a GPS watch that features global course maps. This feature will allow you to access golf courses around the world, so you will be able to utilize it when traveling. Golfers carry around a lot of gear during competitions and practices. Adding another piece of equipment to your arsenal may seem like a challenge. Fortunately, many golf GPS rangefinders have a slim, compact design. This design will allow you to stick the device in your pants or shirt pocket, where you will have quick and easy access to it throughout your game. And, do not worry about adding a golf GPS watch to your arsenal, because these devices are compact and will fit your wrist like a glove. You should never be forced to pay fees just to utilize a golf GPS rangefinder. However, some brands will try to entice you into investing in their devices, saying they offer more unique features than their competitors. Once you make the investment, you will soon discover that the company charges to download and annual fees. Do not fall prey to these companies. Instead, do your research to determine which brands do not charge these ridiculous fees. Another very important GPS feature that may be considered a necessity for golfers is a color LCD display. This feature will provide you with crisp; clear views of course maps and all the important details. A golf GPS watch or rangefinder will be rendered useless without this feature because you will not be able to see the course and/or details clearly. It is important to note that it is crucial to be able to see the screen in the sunlight. Lower quality brands oftentimes feature screens that are impossible to see in the sunlight, rendering them totally useless on sunny days. The top brands, on the other hand, will feature a sunlight-readable display. If you really want to get the most out of your golf GPS, you will need to invest in a brand that offers distance measurements. Most brands will offer distances to the front, center, and back of the green. However, there are some brands that offer distances to the front, center, and back of the green and distances to the front and back of doglegs and hazards. These measurements are available in both meters and yards. These are the brands for avid golfers who want to add a win to their stats. Another measurement that some brands offer is shot distance measurement. If you really want to score a win, you will need to have access to a GPS or golf GPS watch that offers these measurements. If you really want to have quick and easy access to your GPS, you will need to invest in a model that includes a belt clip. Of course, you can toss it in your pocket before and between swings, but why do that when you can attach it to your belt. This location will offer quicker access than a pocket. The color of a GPS may not seem like a big deal to some golfers. But, for those sharp-dressed golfers, it is very important. Fortunately, there are brands that offer golf GPS devices in a range of colors. These colors can include anything from white to black to red. A golf GPS that features automatic distance adjustments will put you on a competitive edge. This feature automatically adjusts the distances as you move along the course. Never again will you need to manually adjust the distance, which could take up precious time. As mentioned above, most avid golfers will play in the rain and snow. If this sounds like you, it is crucial to invest in a GPS watch with a waterproof band. This band should also feature tiny holes to allow for adequate air ventilation. While this feature does not seem important, it will ensure your wrist stays cool and dry when you are playing outdoors in hot weather. It will also prevent you from developing a heat rash underneath the watchband. Working on improving your swing consistency? If so, you should only consider investing in a golf GPS watch that features a swing sensor. This sensor is capable of providing the much-needed metrics to help you improve the consistency of your swing. When you get caught up in a game of golf, it may be difficult to remember important tasks, such as recording your putts and scores. Well, do not worry because if you have one of the best golf GPS watches on your side, it will help you to remember these tasks. In fact, you will receive a reminder to record your putts, score and the direction (left or right) you take throughout your game. Some GPS models have a very complicated interface. Regardless of the brand you invest in, you will need to take the time to become familiar with it. However, it should not be so difficult to figure out how to utilize all of the features. Do your research to find a brand with a user-friendly interface, so you will be able to get to point A to point B with ease. Remember, it should not take a genius to operate a GPS or watch. Distance is without a doubt extremely important when it comes to golf. You always need to know exactly how far you are from your target so that you can choose the exact right club. Choosing the wrong club will cause you to either overshoot the target or undershoot it. These are the exact situations where GolfBuddy Voice GPS can come in handy. This unique GPS device is a true technological marvel that includes unparalleled features and functions that will help you take your game to the next level. Not all golf GPS devices are created the same, but it is safe to say that GolfBuddy Voice GPS is certainly in a class of its own. And, one of the most unique things about this GPS device is that it actually speaks to you. This device will tell you the distance so that there is never a chance that you make a misreading. It can be easy to look at numbers and get them confused, but with an audio readout of the distance, this is something you will never have to worry about. There are probably almost 50,000 golf courses or more located throughout the world. Each course is unique and offers different playing features and challenges. 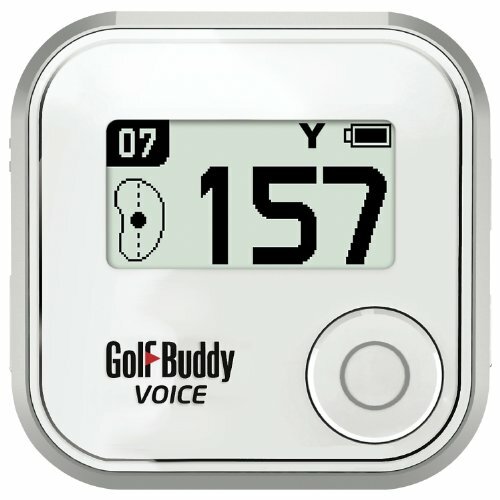 The GolfBuddy Voice GPS is literally pre-loaded with over 35,000 different courses. You don’t have to worry about trying to load in your local courses, because there is a good chance that the GolfBuddy Voice GPS will already have them programmed in. Not every golfer out there is created equally. Some speak English, while some speak Spanish. And, this is where the GolfBuddy Voice GPS is unique. It comes pre-loaded with eight different languages. Whether you are English or Spanish, you won’t have a problem loading this GPS to suit your language needs. If you are looking for the perfect golf GPS device that will accurately and quickly calculate your distance, look no further than the GolfBuddy Voice GPS. 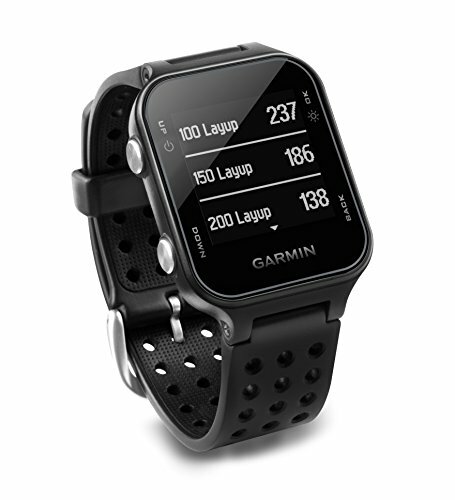 The Garmin is an extremely popular and well-recognized name when it comes to GPS devices. In fact, there is probably a good chance that you have a Garmin in your personal vehicle right now. Well, if you are a golfer, you will be happy to learn that Garmin has finally created the perfect handheld golf GPS device. You will see that this device contains features that really make it stand out amongst the competition. Due to the small size, someone with larger fingers might have a problem with the touchscreen. One of the most impressive things about the Garmin Approach G30 is that it features a sleek 2.3-inch color touchscreen display. Not only does this make for a nice appearance, but also it actually shows obstacles that you might encounter like sand pits and water traps. The touchscreen also makes the device so much easier to operate. Another impressive thing about the Garmin Approach G30 is that you can literally keep playing without worrying about missing any notifications or important phone calls. The device can be synced up with your smartphone and it will tell you when you are getting phone calls, texts or e-mails. With 15 hours of battery life, you can stay connected for longer periods of time. Whether you decide to play two rounds or three rounds, you will have the ability to do so without worrying about your battery dying. 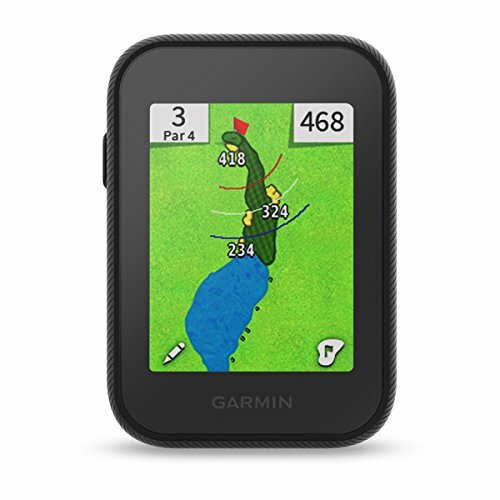 When it comes to looks, accuracy, and features, you probably won’t find many GPS devices that are more impressive than the Garmin Approach G30. If you want to beat the course and the competition, you have to know the course and the distance. Of course, this is much easier said than done if you have never played on the course. This is where the Bushnell Phantom Golf GPS can come in handy. This innovative little device will provide you with the accurate distances that you need to improve your overall performance. 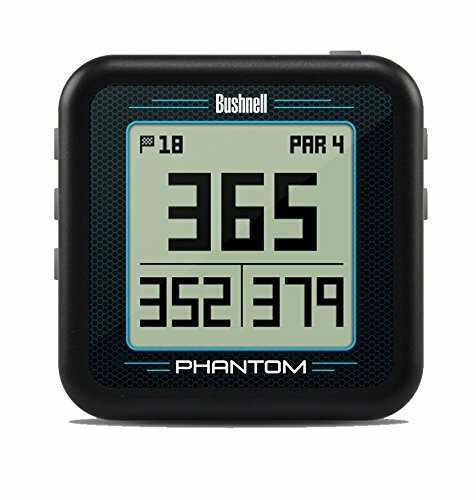 The Bushnell Phantom Golf GPS features Bluetooth technology. This is extremely handy because it allows you to constantly receive course updates. Along with this, you get impressive battery life. You could literally play two eighteen-hole rounds before you have to recharge. There are so many unique golf courses all around the world. Sure, playing on the same courses over and over can give you an advantage, but playing on new ones offers new, unique challenges. Another great thing about the Bushnell Phantom Golf GPS is that it is loaded with over 36,000 different courses that are spread out across thirty different countries. It doesn’t matter if you are playing on a course in the United States or in Spain, you will have the accurate distance calculator that you need to improve your game. These GPS devices are great, but who wants to constantly carry them around in their pocket or on their belt? Carrying these devices in your pocket and on your belt only hinder your swinging abilities. When you invest in the Bushnell Phantom Golf GPS this is something that you will never have to worry about. This device features a magnetic technology that allows you to easily clip the device to the side of your golf cart or any metal surface. If you are looking for an accurate and convenient GPS device that can make a huge difference in your game, you have to consider investing in the Bushnell Phantom Golf GPS. When you think of GPS devices it is hard not to automatically think about the name Garmin. The company has been creating quality GPS devices for a number of years now. When they release a new product on the market it on shows how much the company has improved over the years and that is pretty evident when you look at the Garmin Approach S20 GPS Golf Watch. Not every golfer out there is the same and most of them have different preferences. Standing out and being different won’t be a problem when you invest in the Garmin Approach S20 GPS Golf Watch. This sleek and attractive watch is available in a variety of colors. You can choose from white, black, midnight teal or slate. How would you like to know how you are doing on the course? Sure, you can tell if you are getting better judging by your overall score, but what about your stats? Wouldn’t you like to keep track of your fairways hits, green in regulations and putts per round? Well, when you invest in the Garmin Approach S20 GPS Golf Watch, you can do just that because the device will track your stats. When it comes to comfort and convenience, you will not find much that can match the Garmin Approach S20 GPS Golf Watch. If you want to learn to take better shots and track the number of steps that you have walked on the course you might need to carry around several different devices. This can be extremely troubling when you are already trying to manage your clubs. Well, that is no longer the case when you invest in the Garmin Approach X40 GPS Golf Band. This slim and lightweight device comes with all the built-in features that make it one of the ultimate GPS golf watches. This unique device takes fitness to the next level. Not only does it track the number of steps that you have taken and the calories that you have burned, but also it will monitor your heart rate 24/7. The band features a wrist heart rate technology that will measure your heart rate around the clock. The Garmin Approach X40 GPS Golf Band doesn’t just display the green and the distance to it, but it will display the actual shape and layout of the green. This is even true if you are located behind the green. All you have to do is reposition the pin and it will completely reposition the green for you. With the smartphone connectivity, you never have to worry about missing a message, e-mail or text alert. The device will sync up with your smartphone and provide you will all the alerts and messages that are sent to your smartphone while you are hitting the links. You can easily see that the Garmin Approach X40 GPS Golf Band includes features that make it a very impressive golf GPS watch. Pre-loaded with over 30,000 different courses the Callaway GPS watch is the ultimate tool for any golfer. The device doesn’t require any monthly or yearly subscription fees, which is something that cannot be overlooked. And, this is just the beginning of what this impressive device has to offer. When shopping for a GPS golf watch the battery life is one of the most important things to consider besides accuracy. The Callaway GPS Watch really excels in this area. In The GPS mode, the watch has a battery life that will last anywhere from ten to twelve hours. In regular time mode, you could literally get ninety days out of the battery. 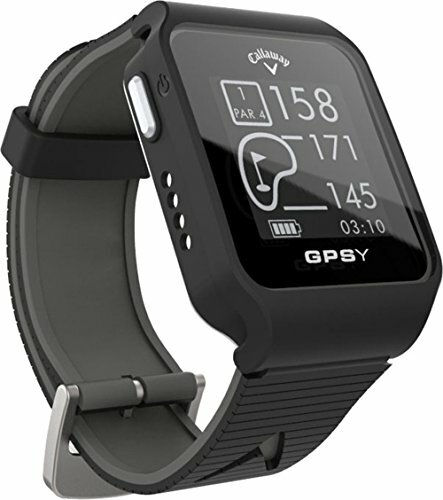 It should be pretty easy to see why more and more golfers are choosing the Callaway GPS Watch as their go-to GPS watch.